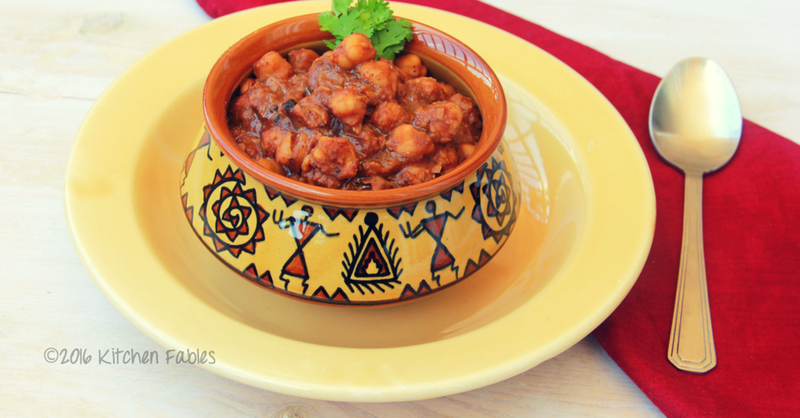 In my post of Punjabi Chole I shared How to get the dark colour in Chole without adding anything extra to add colour. During Navratri time many people do ” Kanya Poojan ” or “Kanjake”. 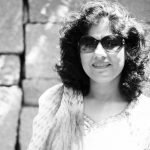 Most people make Kale chane or Black Gram with Sooji Ka Halwa and Pooris. Since it is part of Prasad – Offering to God, it is made without onion and garlic. 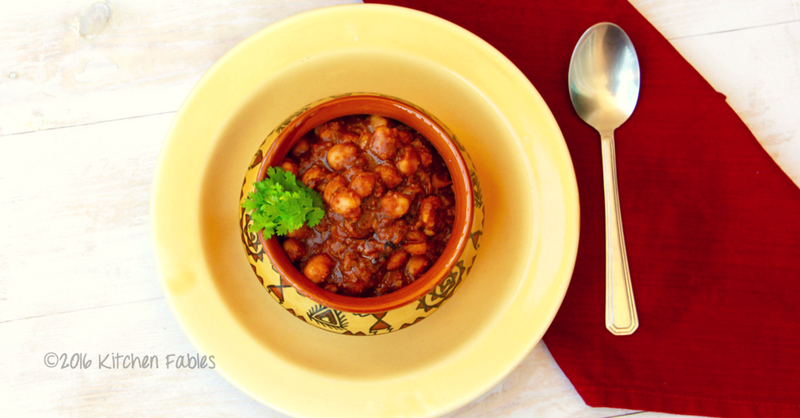 One important ingredient in this recipe is my Home Made Chana Masala. Since this recipe does not require onion & garlic , it saves a lot of time while not losing out on taste. Wash and soak the Chickpeas / Saffed Chane for a minimum six hours or overnight. Drain the water and apply a pinch of baking soda on Saffed chane / chickpeas and leave it for 10 minutes. In a pressure cooker put the Saffed chane / Chick peas, salt and 3-4 cups water and pressure cook. After 3-4 whistles switch off the flame. After half an hour drain the water from chickpeas and keep aside. 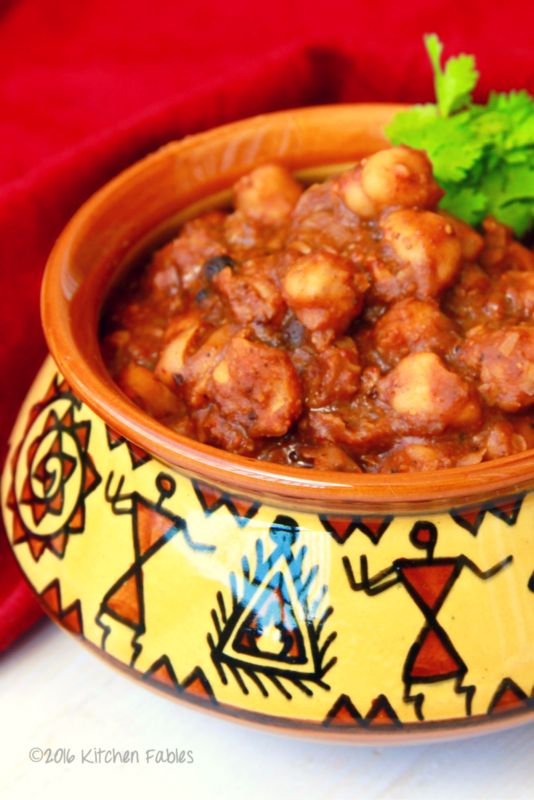 Apply the Chana masala powder on chick peas. In a pan heat oil and add ginger and stir till golden. Add dry fenugreek leaves and stir. Add green chilli and stir for 20 seconds. Add coriander powder and stir for 30 seconds and then add chick peas and stir every 2-3 minutes for 15-20 minutes till the oil separates and you can see it on the edges of the vessel. Add dry mango powder and stir for 2-3 minutes. Gradually add water drained from chickpeas after boiling to the chickpeas and keep stirring . Boil for 2-3 minutes or till you get the desired consistency. Garnish with fresh coriander and serve with Chapati , Paratha or poori. 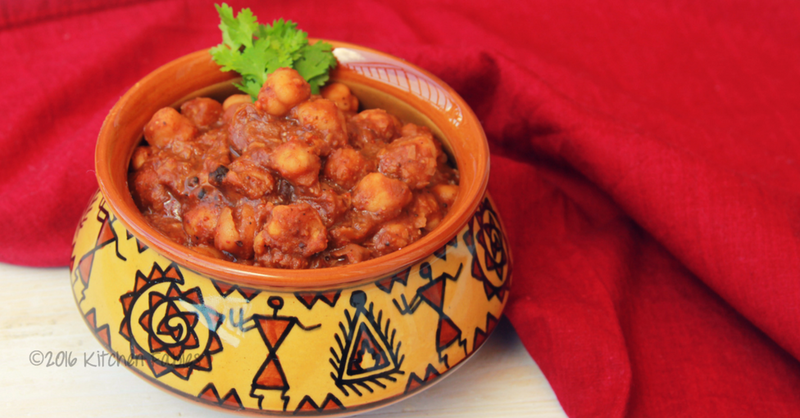 Chole looks delicious , I have been looking for a recipe without onion garlic. Finally found.I am going to try your recipe.Thanks. Thank you Priya !! Do let me know how did it turn out !! Finally I tried your recipe. It’s delicious and tasty. Great !! Happy tp know that you liked it. I tried this recipe but it didn’t turn out. After adding the spices, it was very dry. Is there a missing ingredient? I thought maybe tomato. I ended up adding tomatoes so it would make a sauce like in the photo. I also added some coconut milk. I will keep trying more of your recipes! Thank you! Hi Melisa, In Punjabi style Chole we do not add coconut milk. 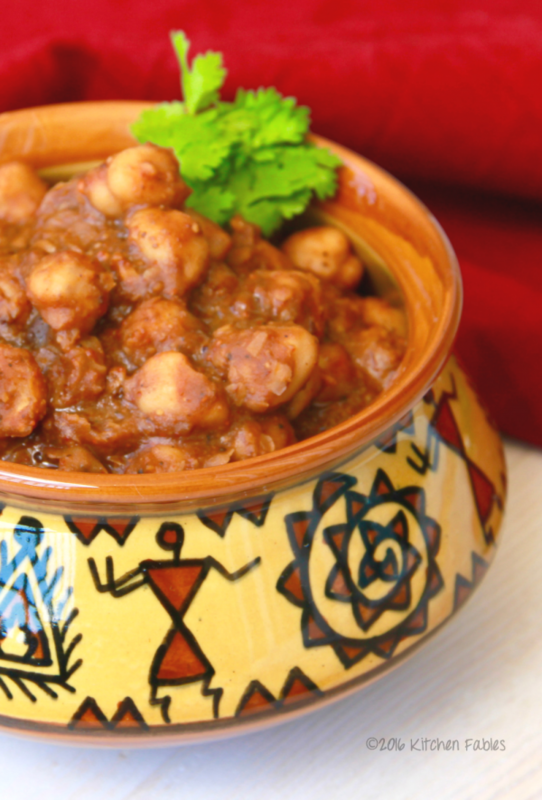 If you find chole dry, add a little water and boil in the end. Thank you this tasted exactly like childhood memories of Delhi.